The Katyn forest massacre, one of the many dark chapters of the Second World War, is a chapter still unfinished. Sixty-five years after the discovery of the mass graves of thousands of Polish officers was announced to the world, and almost seventy years after the killings themselves, the truth about Katyn is both available and hotly denied. It was covered up from the beginning: after Hitler ’s soldiers found the graves in 1943 near Smolensk, Nazi propaganda czar Joseph Goebbels blamed Stalin ’s troops, but the Soviets denied it, turning the blame back on the Germans. Decades would pass, and the Iron Curtain would fall, before the world understood that this time the Nazis had been telling the truth. Katyn today is a bitter memory for Poles and a major irritant in Russian-Polish relations. Emotions flare when it is mentioned. Polish filmmaker Andrzej Wajda’s 2007 film, Katyn, won international film awards and an Oscar nomination for best foreign-language film, but almost no one has seen it in Russia, where it has yet to find a distributor. The Katyn case calls forth angry demonstrations by Russian nationalists and cults of Katyn deniers. Poland ’s parliament continues to demand justice for the victims of Katyn and punishment for the perpetrators. Russian courts respond by minimizing Katyn as a rogue operation and insisting that the case is closed. Since April 1943, the successive regimes of Stalin, Nikita Khrushchev, Leonid Brezhnev, Yuri Andropov, Konstantin Chernenko, Mikhail Gorbachev, and Vladimir Putin have pursued the same strategy: deny Russian responsibility for Katyn outright until denial was no longer possible, and then admit as little as possible. This strategy continues to the present day. The denials began before the graves were even discovered. In December 1941, Stalin told the visiting head of the London-based Polish government in exile, General Wladyslaw Sikorski, that all Polish POWs captured by the Soviets during the German and Soviet invasion of Poland in September 1939 had been released from the camps. Some might have escaped before liberation, he added—possibly to Manchuria. On reoccupying Smolensk and the surrounding territory in September 1943, Stalin hastened to orchestrate an alternate Soviet version of the now-disclosed massacre to contradict the German version. 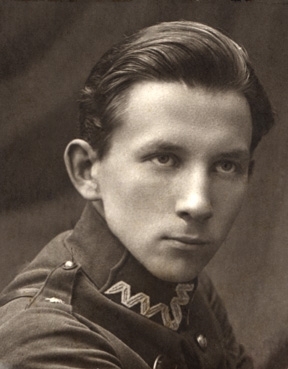 The Burdenko Commission (named after its head, Nikolai Burdenko, the president of the Soviet Academy of Medicine) concluded that German occupying forces had massacred the Polish officers in the fall of 1941 (not Soviets in the spring of 1940). Burdenko’s report had a veneer of credibility: more than a hundred witnesses were interviewed, bodies exhumed, and documents examined. The war thus ended with two competing versions of the truth. The Russian strategy continues to this day: deny responsibility for Katyn outright until denial is no longer possible, and then admit as little as possible. This put the postwar Nuremberg prosecutors in an uncomfortable position. The Polish government in exile, marshaling its own evidence, argued that the Soviets were to blame. But its Western allies had already recognized the Soviet-dominated government in Warsaw, and the efforts of the Poles in exile were largely ignored. For their part, Soviet prosecutors touted the “overwhelming” evidence of the Burdenko Commission. Faced with the prospect of either participating in a judicial fraud or embarrassing their Soviet ally, the British and the Americans chose not to investigate the matter. As the Iron Curtain descended over Eastern Europe, Stalin ’s successors expected their Polish communist comrades to let sleeping dogs lie. When the Katyn incident refused to die, the Soviets launched a disinformation offensive in the late 1960s. Out of the many thousands of villages and settlements destroyed by the Nazis in Belarus, Soviet authorities picked the village of Khatyn, whose name is very similar to Katyn, as the site for a memorial commemorating the victims of Nazi atrocities. (German troops, along with Ukrainian and Belarussian collaborators, massacred 149 Khatyn villagers in March 1943.) 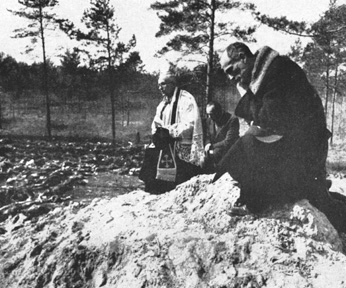 Khatyn became an obligatory stop for groups of foreign visitors paying their respects. The disinformation campaign scored a major success in the summer of 1974 when President Richard Nixon paid Khatyn a visit. 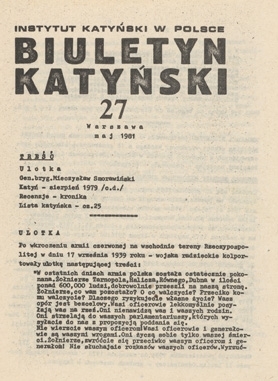 Following the lead of Soviet publications, entries for “Khatyn” displaced “Katyn” in Polish encyclopedias and historical dictionaries. Katyn played a central role in Mikhail Gorbachev’s belated balancing act with respect to Poland. Continued Soviet stonewalling had played into the hands of the anti-Soviet opposition to General Wojciech Jaruzelski, Moscow’s embattled friend. Gorbachev tried to aid Jaruzelski without admitting Soviet guilt: in 1987 he formed a joint historical commission, supposedly to get to the bottom of the Katyn tragedy. It was too late, however, to create a new Soviet version. Polish underground presses, most associated with the Solidarity movement, and even state-owned publishers were already publishing works pointing to Soviet responsibility. Faced with the prospect at Nuremberg of either participating in a judicial fraud or embarrassing their Soviet ally, the British and the Americans chose not to investigate Katyn. Gorbachev waited until the symbolic date of April 13, 1990, forty-seven years after Berlin Radio had announced the discovery of the graves, to issue a declaration on Katyn and to hand over two boxes of evidence to the Poles. The Soviet “confession” was limited and deceptive: the Katyn massacre was the work of NKVD head Lavrenty Beria and his subordinates. No evidence of an order from higher-ups had been found. The skeptical Poles were asked to believe that NKVD mavericks had on their own decided to execute more than 20,000 Polish nationals in occupied territory. Shortly after authorizing this limited admission, Gorbachev directed the Academy of Sciences and other government agencies to search for evidence of possible Polish crimes against the Soviet side. Such documentation was to be utilized in future negotiations with the Poles. Within a year and a half of Gorbachev’s “confession,” the Soviet flag had been lowered from the Kremlin walls and the story had shifted to Boris Yeltsin. The Yeltsin years were the zenith of Russian candor about Katyn. In October 1992, Yeltsin transferred “newly found” secret documents to Polish President Lech Walesa, including for the first time a “smoking gun”—a Politburo order dated March 5, 1940, in which Beria was ordered to execute thousands of Polish prisoners. In August 1993, a commission of experts from the Russian Military Procuracy officially concluded that Polish officers were executed by Beria in 1940, not by Germans in 1941. In June 1998, Yeltsin and Polish President Aleksander Kwasniewski agreed to construct memorials at Katyn and Mednoye, another NKVD mass-burial site of Poles on Russian territory. Yeltsin himself visited Warsaw ’s Katyn monument in 1993. Frictions remained, though, particularly when Russia claimed that the deaths (through communicable diseases) of some 16,000 to 20,000 Russian POWs in Polish camps between 1919 and 1924 were the moral equivalent of the Katyn massacre. First, NKVD troikas found 14,542 Polish citizens held in NKVD camps guilty of committing state crimes and “made a decision” to shoot them in the spring of 1940. Second, the deaths of 1,803 Polish POWs had been confirmed, of whom 22 were identified. Third, a number of Soviet officials “abused their authority, which entailed heavy consequences under aggravating circumstances, ” but criminal cases against them had been closed because the guilty parties had died. Fifth, the Russian Military Prosecutor’s Office agreed to turn over 67 of the 183 volumes of evidence. Two-thirds of the evidence was to remain classified. In sum, the Savenkov report did not identify the perpetrators, declined to say how high the responsibility went, and finally closed the case against the culprits anyway, because they were dead. The Polish parliament was outraged. It demanded that Russia’s Katyn archives be declassified and that Russian courts rule that Katyn was an act of genocide. Rejecting the genocide charge, the parliament said, would mean that Russian authorities were diminishing its importance. Moreover, it would mean that the statute of limitations on Katyn had expired and that no one would ever be held to account. The Russian judgment also provided fertile soil for a growing cult of Katyn deniers. Savenkov admitted that NKVD courts had ordered some 15,000 Polish citizens shot but could find evidence that fewer than 2,000 were actually executed. What happened to the remaining 13,000? The report encouraged many Russians to believe that the Katyn victims survived until the Nazis invaded, put them in work camps, and then executed them after they had completed their work. In another, even more bizarre, version, the Katyn victims were said to have been executed to suppress the whereabouts of a secret bunker they had been forced to build. Katyn denial should not come as a surprise. In recent years, the Russian press has fed a voracious Russian appetite for UFOs, the occult, and conspiracy theories. Katyn deniers have a ready-made audience. In late 2007 and early 2008, Russian newspapers began to print articles once again implicating the Nazis in the crime. There was no evidence that the articles were sponsored by the Kremlin, but they served to rekindle doubt among Russian readers, many of whom would have welcomed blame being diverted to the Nazis. “To further drag out this business will turn into a millstone around our necks, not only for the past but also for current Soviet-Polish relations,” Mikhail Gorbachev was advised in 1989. 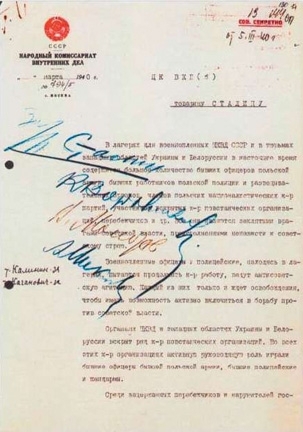 Stalin’s “In Favor” and bold signature are scrawled at the top of Beria’s “question.” Politburo members Kliment Voroshilov, Anastas Mikoyan, and Vyacheslav Molotov also signed. Two absent members, Mikhail Kalinin and Lazar Kaganovich, were canvassed and their affirmative votes recorded in the left margin. The Politburo records show that the question was formally approved. The relevant excerpt from the Politburo minutes was directed to Beria, placing the responsibility on the first special department of the NKVD to carry out the executions. The document was labeled top secret, requiring recipients to return their copies within twenty-four hours. Copies were placed in the “special files” of the Politburo, where they remained for Stalin’s successors. The executions began a month later. Given such evidence, the only possibility for Katyn deniers has been to argue that faked documents had been slipped into the secret Politburo archives. The most likely suspects were said to be Yeltsin himself, who needed such documents to discredit the Communist Party, and Khrushchev, who was thought to have “cleansed” the secret archives to remove evidence of his own crimes. The Katyn deniers zeroed in on one suspicious fact: Gorbachev had told the Poles in 1990 that there was no such smoking gun in the Politburo records. It was also alleged to be suspicious that Yeltsin, when handing over the document to Walesa, said that it had been recently discovered in the archives. Gorbachev’s and Yeltsin’s statements can be explained. Soviet leaders from Khrushchev through Gorbachev had those documents in their hands; we know this because the Politburo’s Katyn file records the names of those who checked them out. The Committee of State Security of the Council of Ministers, USSR, has held since 1940 case files and other materials regarding prisoners and interned officers, policemen, gendarmes, military settlers, landowners, etc., persons from former bourgeois Poland who were shot in the same year. In all, on the basis of the decision of a special Troika of the NKVD USSR, 21,857 people were shot. . . . The entire operation was carried out on the basis of the decision of the Central Committee of March 5, 1940. Since 1940, no information from these files was released to anyone, and all of the files, numbering 21,857, have been stored in a sealed location. To Soviet organs, all of these files represent neither operational interest nor historical value. It is also doubtful that they could be of any real value to our Polish friends. Quite the contrary, any unforeseen incident may lead to revealing the operation with all the undesirable consequences for our state. This is especially so because regarding those shot in the Katyn forest, there is an official version supported by an investigation carried out on the initiative of the Soviet state in 1944 by the [Burdenko] commission . . . which concluded that all of the Poles liquidated there are considered to have been killed by the German invaders. The materials of the investigation of that time have been widely covered in the Soviet and the foreign press. The conclusions of the commission became firmly established in the international public opinion. On the basis of what has been presented, it seems appropriate to destroy all of the records regarding the persons shot in 1940 in the above-mentioned operation. 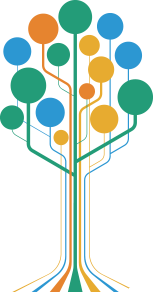 Shelepin’s recommendation to purge the records applied to the tens of thousands of individual case files. 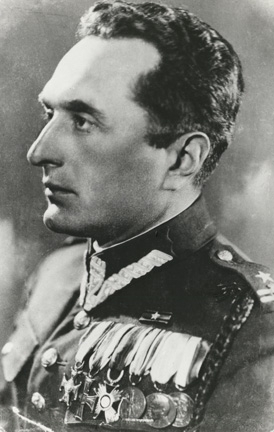 He added that the relatively few Central Committee and NKVD documents pertaining to Katyn “may be preserved” and “kept in a special file.” Thus, as of 1959, Soviet records would have been purged of the 22,000 individual case files but would have retained the “smoking gun” Beria memo and Politburo execution order. Instead of clarifying history, a 2005 Russian investigation provided fertile soil for a growing cult of Katyn deniers. Soviet archival documents confirm the fate of the interned Polish officers even in the absence of evidence of orders to shoot and bury them. The material uncovered by our historians, and they have uncovered only a part of our little secrets, in conjunction with the materials uncovered by the Polish side would scarcely allow us to hold to our earlier version. . . . Communicate to Jaruzelski that as a result of a careful archival review, we have not found direct evidence of orders, directives, etc., allowing us to establish the concrete time and guilty parties of the Katyn tragedy. However, in the main archive of the NKVD and also in the administration of convoy forces of the NKVD, “indices” have been uncovered that raise doubts about the Burdenko report of 1944. On the basis of these indices we can conclude that the execution of the Polish officers in the Katyn region was the work of the NKVD and personally Beria and [his deputy Vsevolod] Merkulov. Neither Stalin nor his Politburo colleagues were mentioned, of course. Gorbachev’s later memoirs are more candid. In them, he claims that he handed the smoking-gun document to Yeltsin on December 24, 1991, as he resigned the Soviet presidency. If this account is true, why did Yeltsin wait until October 14, 1992, to give the smoking gun to the Poles? Yeltsin and his advisers probably would have deliberated long and hard about their Polish strategy. Having decided to transfer the documents to the Poles, they then had little choice but to say that they had been recently discovered, deep in the archives. For Russians, full disclosure about the massacre would dilute national pride in the Soviet victory in the Great Patriotic War. 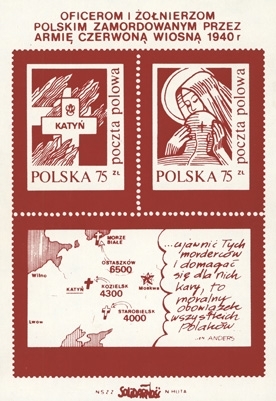 To Poles, Katyn symbolizes all the tragic events that were directly caused by the Soviet regime. In the Polish historical consciousness, Katyn symbolizes all the tragic events in Polish history during the past century that were directly caused by the Soviet regime. The collapse of the Soviet Union and the reappearance of Russia were greeted with much hope in Poland. Poles were greatly disappointed to realize that, after the initial steps taken by Gorbachev and Yeltsin to come to terms with the morbid legacy of the Soviet period, Putin was moving to rebuild an authoritarian Russia on the foundations and traditions of the Soviet state. Katyn evokes that larger legacy. Poles remember that during the 1930s, hundreds of thousands of Poles living in the western reaches of the Soviet Union were the first national group marked for persecution by Stalin —execution or deportation to Central Asia. 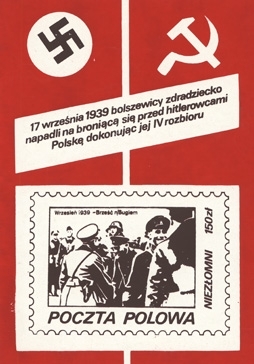 The Soviet invasion of Poland, in concert with Nazi Germany in September 1939, was followed by waves of arrests and deportations to the East. When the Katyn massacre was taking place, hundreds of thousands of Poles, mostly the better-educated and economically active elements, were already in Siberia or Central Asia or were heading there in horribly crowded freight trains. At least a fifth of them died during the first months of this brutal experience. When Nazi Germany attacked its erstwhile Soviet ally in the summer of 1941, summary killing by NKVD guards of prisoners at the front included thousands of Polish victims. Then, as the war was reaching an end, the Soviets withheld assistance to Warsaw during the bloody August 1944 uprising against the Germans. As Poland became a Soviet satellite, Soviet agents arrested leaders of the Polish underground army and government. Katyn represents only a small part of the macabre story that Stalin’s successors did not wish to be told, either at home or abroad. The crimes of the Stalin regime have never been placed before an international tribunal. The Katyn incident represents one of the last opportunities to do so, either in the court of public opinion or at the European Court of Human Rights, which has been urged to take up the case by relatives of the victims. For Putin, striving to resurrect Russian patriotism, the symbolism of Katyn is most unwelcome. Besides tainting Soviet wartime heroism, a frank discussion of the years of Nazi-Soviet collaboration and Stalin ’s own imperial ambitions represents an inconvenient truth that the leaders of the new Russia—post-Soviet but never de-Sovietized—would prefer to leave buried. Available from the Hoover Press is Lenin’s Brain and Other Tales from the Secret Soviet Archives, by Paul R. Gregory. To order, call 800.935.2882 or visit www.hooverpress.org.